I'm a huge fan of accessories yet I've always had trouble finding the perfect piece to match specific outfits, so I used to just keep buying more and adding to a collection that my husband started to scoff at on occasion. Luckily I was recently offered the opportunity to become an ambassador for Mialisia Jewelry just in time - now I have the answer to every jewelry need I can think of! Mialisia makes matching whatever style I feel like rocking on a specific day easy with their VersaStyle™ jewelry. 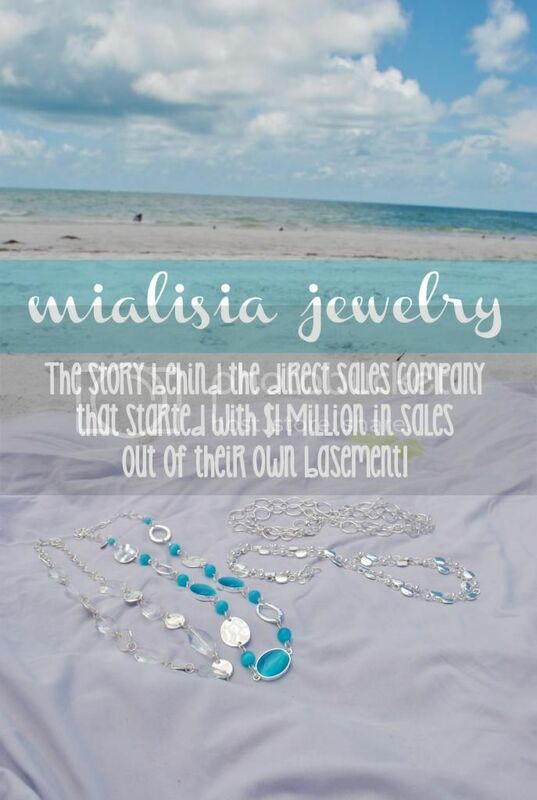 Mialisia is a direct-sales jewelry company that specializes in VersaStyle™ jewelry. Their interchangeable jewelry converts into dozens of different looks and styles to provide convenient options and incredible value - a great combination. Before Mialisia made it big, Founders Sean & Annelise Brown ran a jewelry company from their basement in Provo, Utah. Annelise is a fellow accessories addict, she introduced her product at local craft fairs and this is where the idea of VersaStyle™ Jewelry was born. The company was so popular (think $1 million in sales) that the Annelise's financial guru husband, Sean, realized they could no longer sustain the business from their basement. So together they decided to reorganize into a home-based party-plan sales company to give more women the opportunity to benefit from the jewelry and to expand the market to reach a wider audience. Mialisia officially launched in July 2013. The beauty of Mialisia Jewelry is that you can have a piece or two of jewelry and wear them in multiple ways to create your own personalized looks! 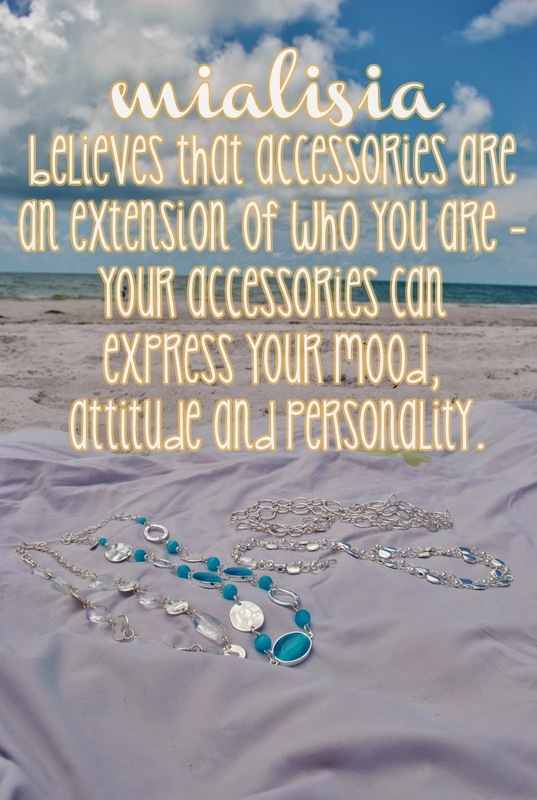 Mialisia believes that accessories are an extension of who you are - your accessories can express your mood, attitude and personality. Not only is Mialisia versatile, the jewelry is so easy to put on! 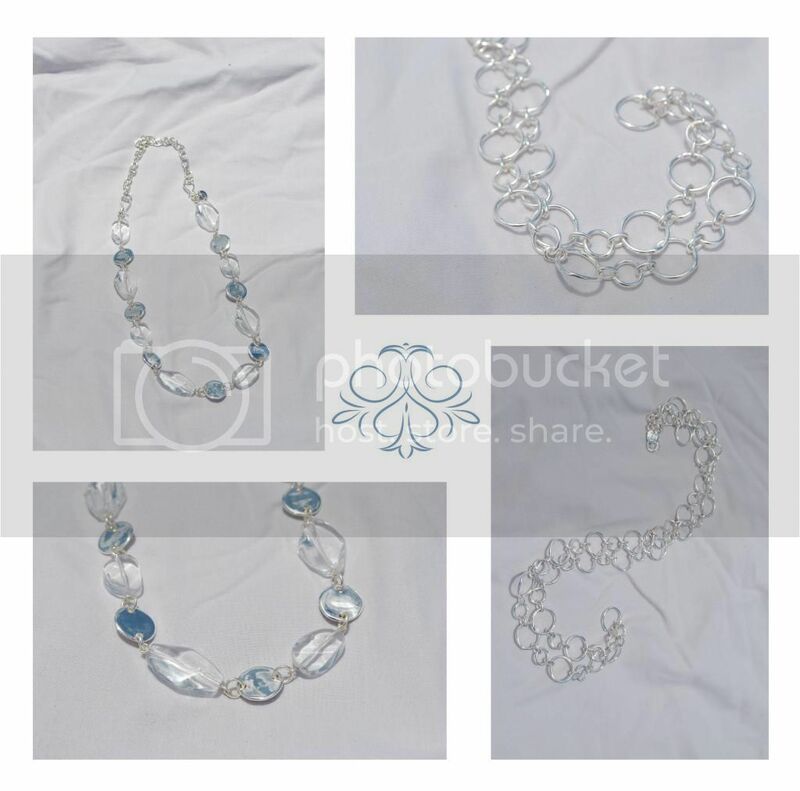 No more struggling with a tricky clasp, these pieces could be hooked by even the shakiest hand! Prices on Mialisia Jewelry vary, with the most expensive piece being $78 and the least expensive piece coming in at a budget friendly $12 - there are pieces suitable for any price range and style! Plus, with flat rate shipping at $5.95 - you can order as much as you want and never have to worry about additional shipping costs - the items are shipped promptly and arrived faster than most items I order from other retailers. Mialisia uses a variety of materials and manufacturers from around the world. Every piece of jewelry is quality tested, stored and shipped out of the United States. Since there are several jewelry styles they are made from a variety of different metals but all of the earring hooks, connector pieces and hooks are made from surgical steel. Mialisia is better than average costume jewelry for several reasons, but one HUGE reason I choose to grab my Mialisia pieces over others are that the items will not tarnish if cared for correctly... something other brands just don't seem to be able to claim. You can become part of Sean and Annalise's team, click here to start the process of becoming a Mialisia fashionista and sell the items yourself. You can also do a little shopping with a current fashionista to get your hands on some of this gorgeous jewelry - either way, I highly suggest you jump on the Mialisia train! It's about to take off, full speed ahead and I'm glad to be an ambassador for the company so that I get the opportunity to be a part of the companies future! 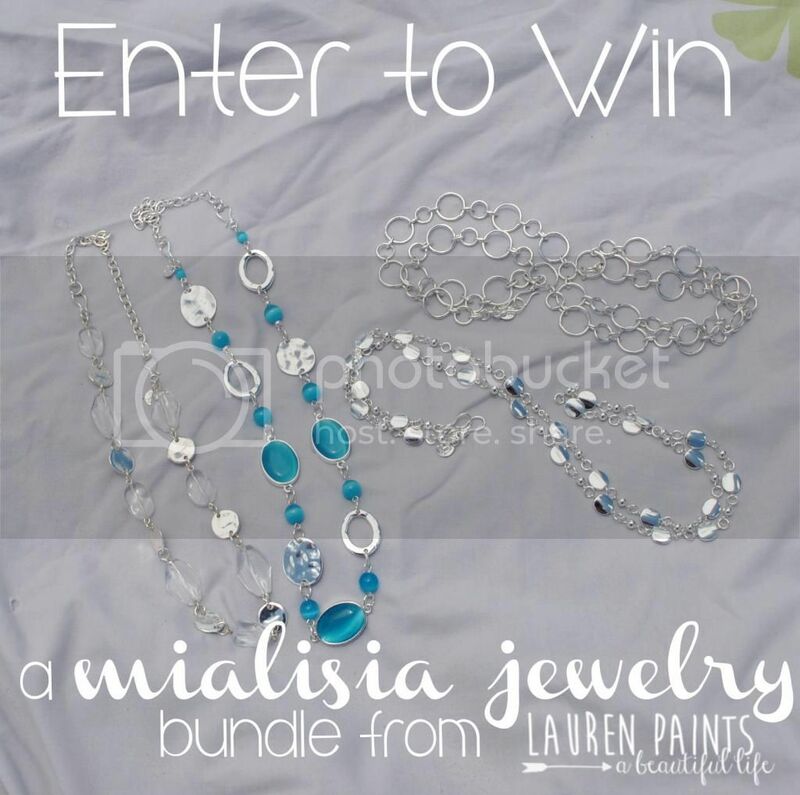 I'll be sharing more posts in the upcoming months with styling tips and other great information, but the extra good news today is that Mialisia Jewelry has decided to giveaway every piece of jewelry you see featured above to one lucky reader! Disclaimer: I received one or more of the products mentioned above to facilitate my review. Regardless, I only recommend products or services I use personally and believe will be good for my readers.This contest will run through July 31st at 11:59 pm EST. Must be 18 years or older to win. This promotion is in no way sponsored, endorsed or administered by, or associated with, Facebook, Twitter or any other company mentioned above. You understand that you are providing your information to Lauren Paints | a beautiful life and not to Facebook, I will not use your information other than to e-mail you a winning notification if you are the chosen winner. Enter using the Giveaway Tools form above. Void Where Prohibited. Please note that Lauren Paints | a beautiful life and all other bloggers participating are not responsible for sponsors that do not fulfill their prizes.